I like posting good quality content, but this is one of those instances where a quick expression of love and a good picture will do. I love the 80s: the movies, the music, the style, the cars, and of course the firearms. It was a time for firearms where really anything went. Revolvers were finally taking a back seat to reliable semi automatics (besides the 1911). Manufacturers were coming up with new designs. Some were cheap (like the Tec-9 and Mac guns), and others were more unique and expensive (like the Calico M900). Either way, firearms from that time period just seem to have a cool factor. Maybe they were not the most reliable (even though I have had minimal issues with firearms from then that people say are awful), but they were and still are fun. It’s one of those things that fits with the saying, “they don’t make them like they used to.” Some would argue that’s for good reason, but I disagree. However, with the Clinton Ban of 1994, these iconic firearms were done. They are now starting to fetch a premium. 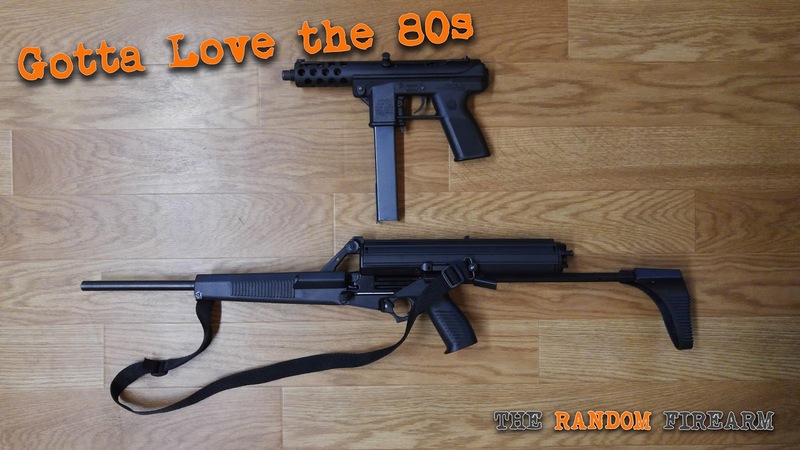 Even the cheap ones (like the Tec-9 and Mac10/11) from back the 80s can go for quite a bit now. Dare I say these things are becoming collector firearms? I guess it depends on the buyer. They all have that sort of a cool factor that for some, including me, can go a long way. So that’s my confession for my love of the 80s, especially the firearms. What firearms do you love from the 80s? Let me know! Like what you read? Don’t forget to check us on Facebook, Twitter, and YouTube! Thanks for stopping by! I Love how the US was back then.